So I was cruising through Gametap the other day, looking for new additions I might have missed out on. 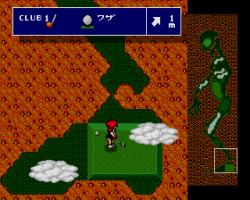 During this time I came across an interesting little game called Battle Golfer Yui. What makes it surprising is that the game was never released in America, but instead was a Japanese only release on the Sega Mega Drive. I’m not sure how or why Gametap included it, but they do acknowledge that its quite impossible to play through all the modes without understanding Japanese, and even tell you how to navigate to the quick play mode. Upon further investigation, I discovered that it isn’t alone. There’s also at least one Wonder Boy release from Japan as well, and this time they warn that it might not even be possible to play without knowing Kanji. So what does this mean for us gamers? A lot and a little. While its not easy or even possible for most gamers to play through these titles, its a good sign that a big service like Gametap isn’t afraid to shoot for something so obscure. It may be very possible for them to obtain other old Japanese releases in the future, ones that more people would have an interest in playing. 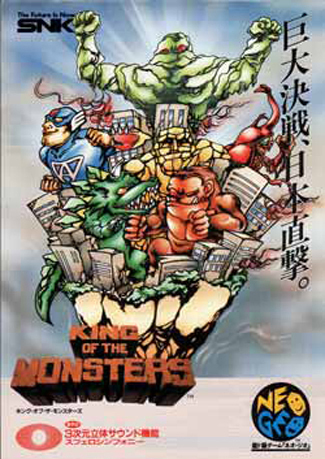 I wouldn’t mind seeing some obscure arcade fighting games making an appearance. On the other hand, I wouldn’t hold my breath about any sort of translations; I doubt any of the rights holders are going to let them go in and hack in an English script. Still, this is far better than nothing. Wow, this is pretty smart for Gametap, actually. If they can become the official importer where it doesn’t take so much time and money to find games like this, Gametap can really become big. It’s essentially an untapped (pun intended) source of popularity and credibility for Gametap. Some one should really get on the ball with this one. the more puns the better i always say. Hey, look at the picture for the Golf game. The course looks like a zombie or something. Apparently people are dying to get on that golf course! Du Du Dung! I’ll be here til Thursday. Try the veal. The Wonder Boy they have is the only proper series one that didn’t get a US release. I played on an emulator but eventually got stuck because I had no idea what people were telling me to do. Battle Golfer Yui is apparently about a girl who fights people in a golf course. I’ll have to take a closer look at this game sometime. Gametap could become pretty nifty (and tempting) if this continues.